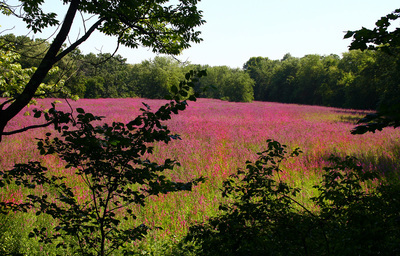 A mature plant can produce 1 million seeds. 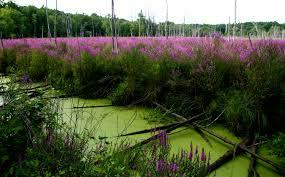 An infestation will change water flow, build up of silt, and fish and wildlife habitat in huge ways. 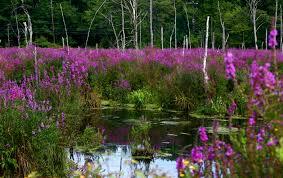 Just downstream of Calgary, on the Bow River, a survey team found a marsh with several hundred thousand purple loosestrife seedlings. Yearly canoe surveys of the same stretch of river, plus judicious treatment of P.L. plants that were found, has reduced the number of plants found yearly to less than 20, sometimes less than 10. 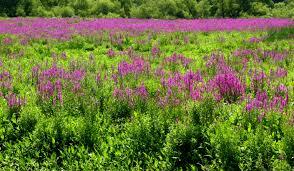 Alberta is a real success story for purple loosestrife. 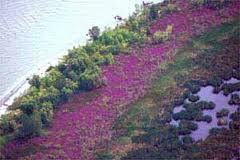 Manitoba and Ontario, and I am sure Minnesota and some other States are in a far greater need for resources and intervention to change the wetland landscape that has been altered by this invasive plant. An important part of the success in Alberta and in it's neighboring province Saskatchewan was the cooperation of the retail nursery industry which offered exchange of P.L. plants brought in by gardeners for non-invasive alternatives. That was a pivotal move and I am proud of the industry.